By Armstrong Williams, businessman and nationally syndicated columnist (March 1996 column). One summer day my father sent me to buy wire and fencing for our farm in Marion County, South Carolina. At 16, I liked nothing better than getting behind the wheel of our Chevy pickup, but this time there was a damper on my spirits. My father had told me I’d have to ask for credit at the store. Sixteen is a prideful age, when a young man wants respect, not charity. It was 1976, and the ugly shadow of racism was a fact of life. I’d seen my friends ask for credit and then stand, head down, while a patronizing store owner questioned whether they were “good for it.” I knew black youths just like me who were watched like thieves by the store clerk each time they went into a grocery. My family was honest. We paid our debts. But before harvest, cash was short. Would the store owner trust us? The farmer nodded in a neighborly way. I was filled with pride. James Williams’s son. Those three words had opened a door to an adult’s respect and trust. That day I discovered that a good name could bestow a capital of good will of immense value. The good name my father and mother had earned brought our whole family the respect of our neighbors. 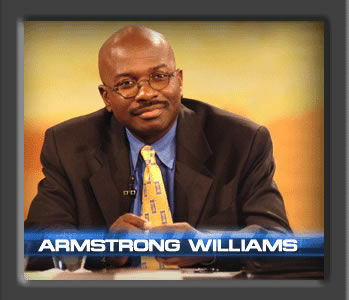 Everyone knew what to expect from a Williams: a decent person who kept his word and respected himself too much to do wrong. We children — eight brothers and two sisters – could enjoy that good name, unearned, unless and until we did something to lose it. Compromising it would hurt not only the transgressor but also those we loved and those who loved us. We had a stake in one another — and in ourselves. A good name, and the responsibility that came with it, forced us children to be better than we otherwise might be. We wanted to be thought of as good people, and by acting like good people for long enough, we became pretty decent citizens. The desire to keep the respect of a good name propelled me to become the first in our family to go to university. Eventually, it gave me the initiative to start my own successful public relations firm in Washington, D.C.. I thought about the power of a good name when I heard Colin Powell say that America needs to restore a sense of shame in its neighborhoods. He’s right. If pride in a good name keeps families and neighborhoods straight, a sense of shame is the reverse side of that coin. Doing drugs, abusing alcohol, stealing, getting a young woman pregnant out of wedlock — today, none of these behaviors are the deep embarrassment they should be. Nearly one out of three births in America is to an unwed mother. Many of these children will grow up without the security and guidance of a caring father and mother committed to each other. Cultural influences such as television and movies portray mostly a world in which respect goes to the most violent. Life is considered cheap. Meanwhile, the small signs of civility and respect that sustain civilization are vanishing from schools, stores and streets. Phrases like “yes, ma’am,” “no, sir,” “thank you” and “please” show self-respect and respect for others. Yet, encouraged by the pervasive profanity on television and in music, kids don’t think twice about aggressive and vulgar language. Many of today’s kids have failed because their sense of shame has failed. They were born into families with poor reputations, not caring about keeping a good name. Today, when I’m back home, I receive respect because of the good name passed on as my father’s patrimony and upheld to this day by me and my siblings. People like Buck Davis came to know of my success in the world. But it was my family’s good name that paved the way. Keeping a good name is rewarded not only by outsiders’ esteem but when those who know you best put their confidence in you. In the last months of his life Daddy, typically, worried more about my mother than about his illness. He wanted to spare her the grief of watching him die at home. So he came to me. By then I was living and working in Washington, D. C. When Daddy arrived from South Carolina, I had him admitted to a nearby hospital. For two months, I spent every day sitting by his bedside. Both of us knew he had little time left. When he was not in too much pain to talk, he would ask about the family. He wanted to be sure he had met his responsibilities in this world. On the last day, I was there with him as he passed away. My daddy had never been rich or powerful. But in his dying, he gave me a last gift: his faith that I was the man he had wanted me to be. By trusting me to care for him at the moment of his passing, he showed not only his love, but his pride and confidence in me. After all, I was James Williams’s son — a Williams of Marion, South Carolina — and a Williams would do right. Proverbs 22:1 — A good name is more desirable than great riches; to be esteemed is better than silver or gold. Proverbs 3:1-4 — My son, do not forget my teaching, but keep my commands in your heart, for they will prolong your life many years and bring you peace and prosperity. Let love and faithfulness never leave you… write them on the tablet of your heart. Then you will win favor and a good name in the sight of God and man. I confess and ask for your grace, because I have so often in my life sinfully spoke with malice and contempt against other people. They depend on me for their honor and reputation, just as I depend on them for the same. Help us all to obey this commandment, giving our neighbor the benefit of the doubt, and explaining their actions in the kindest way. Amen. This entry was tagged commandments. Bookmark the permalink.